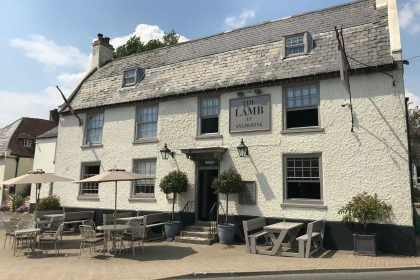 If you have driven past The Lamb in the past week, you may have had your head turned by our wonderful new outdoor seating! 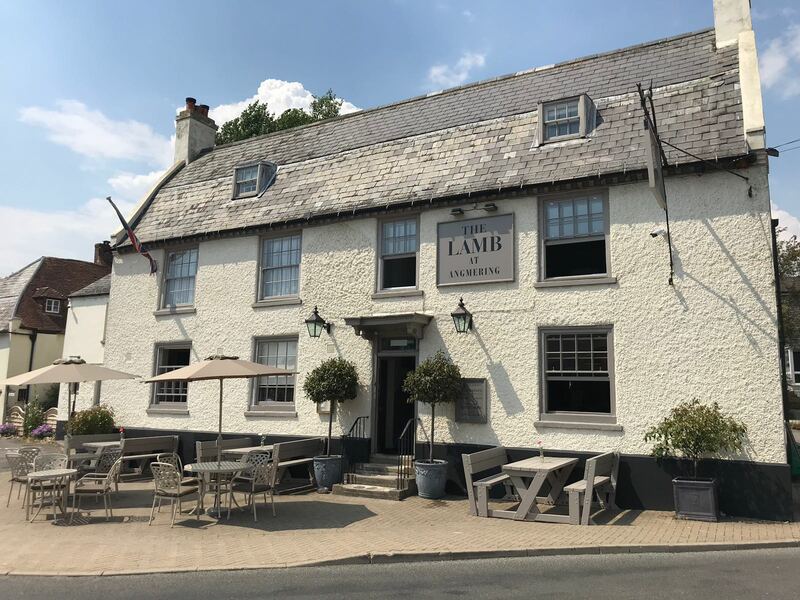 Martin has been busy in the past months designing, deciding and choosing the wonderful new tables, seating and umbrellas that are now situated in front of The Lamb overlooking our pretty village green. 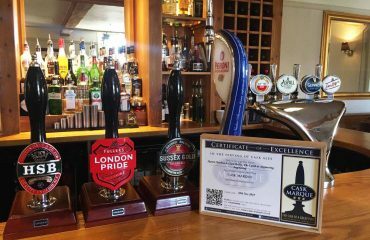 In muted colours, the bench tables along the front wall of the pub blend in wonderfully, but with a sturdy structure they won’t send your pint flying at the first sneeze. 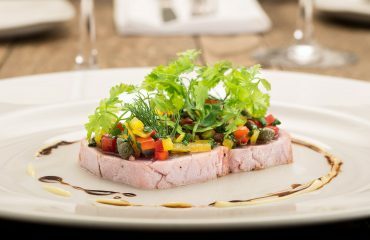 In front of the bench tables are a selection of round bistro tables with umbrella shades which are perfect for sipping your favourite tipple. 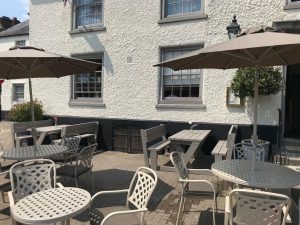 With such a warm start to the Summer we are really pleased we have got the new seating area ready for everyone to enjoy, and its been a huge success straight away. 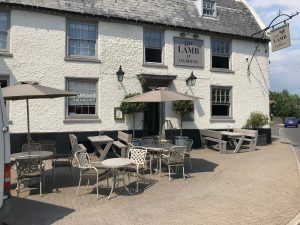 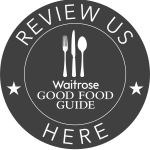 We are always looking for the little things that can make The Lamb even better and we hope everyone in the village loves the improvements we have made to our outdoor seating.